This entry was posted in As I see it, Humorous Essay, Kids by Jodi. Bookmark the permalink. 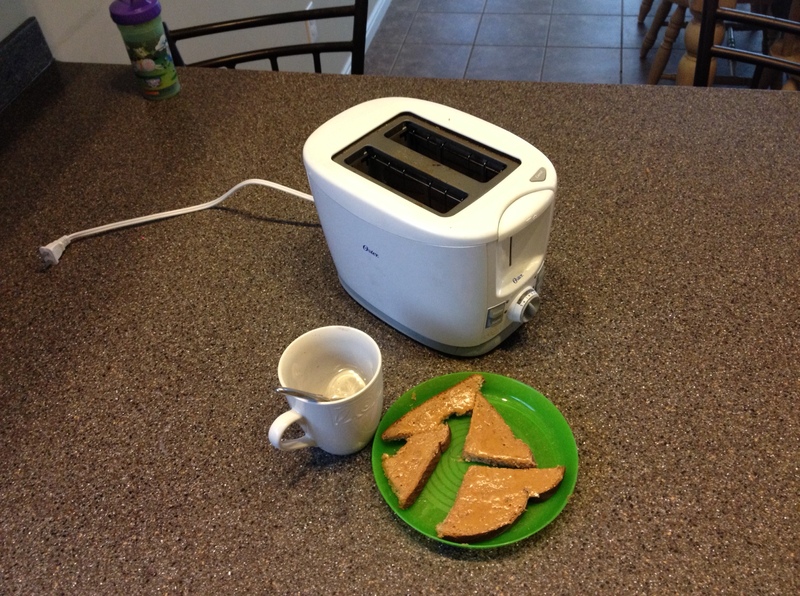 I hope your next toaster provides you with lots of lazy mornings and breakfast. Hope your son feels better as the day wears on. He’s doing great, almost like nothing happened at all. Baby had whatever it was the day before and now I can only guess who will be next. There are three of us left… Here’s to hoping it won’t be me! Ah, vomiting child. My son used to wait until I picked him up to hurl. Life can change in an instant. We are on toaster, toaster oven, and microwave numbers 3. However, our wedding gift appliance that keeps chugging is a pancake griddle. That thing has seen more Bisquick, French toast, and bacon than any such appliance before. It’ll be a sad day indeed when it heats up for the last time. That one happened yesterday when hubby dearest carried my youngest up to his nap. Yep, I’m steam cleaning carpets today. As for appliances, nothing beats a good griddle.